The Clover Hook is this week’s laser cutting picture of the week from AWC Industries. This laser cutting product is not only crafted with precision, but is one of our more intriguing finishes that can have many functionalities. 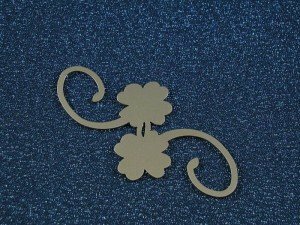 Like all of our finished laser cutting products, the clover hook is developed with Bystronics Laser Technology to best satisfy consumer needs. We are the best Laser Cutting company in Illinois! Our laser cutting expertise and equipment at AWC Industries enables us to construct the most durable and dependable products around. 2D and 3D laser cutting of tubes as well as C, H, I, and L beams is what we specialize in. Our thickness cutting range is from .020 inches to .750 inches on a 60 inch X 120 inch table size for maximum sheet yield and affordability. Whether it’s hooks, brackets, clips, or tubes we can provide you the best laser cutting products while providing amazing customer service! Request a Quote with AWC Industries today for your next laser cutting project!